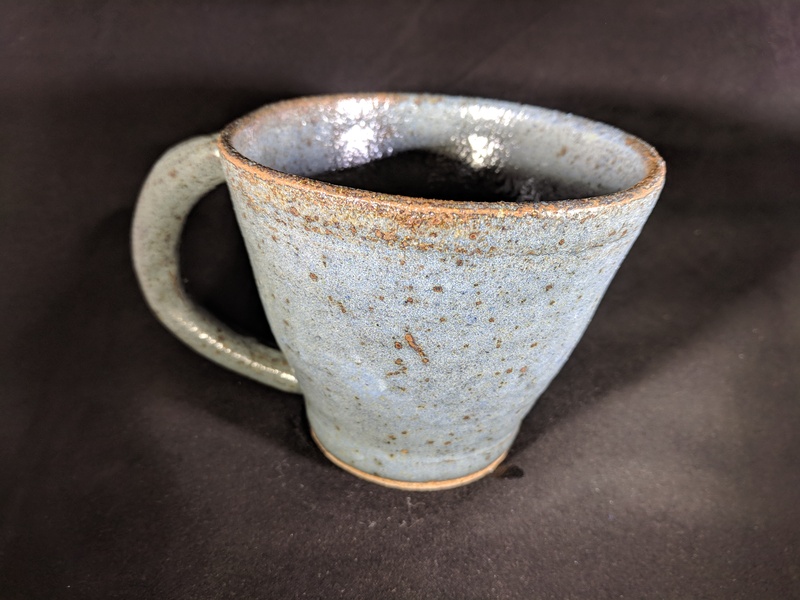 I collected those first pieces of stoneware from the studio, and here’s how they turned out. It’s got an oddly rough feel to the surface. Not unpleasant, but not what I expected either. 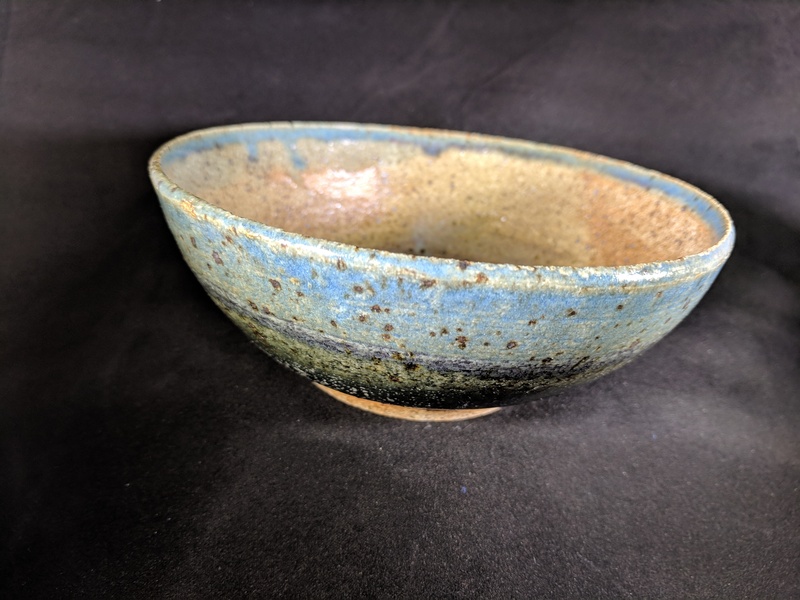 I’m mostly happy with how this one came out – the handle is not quite right, but a marked improvement over my older ones. I can also see the imperfections, especially in shape, more easily in this clay probably because of how much thinner and lighter the walls are. 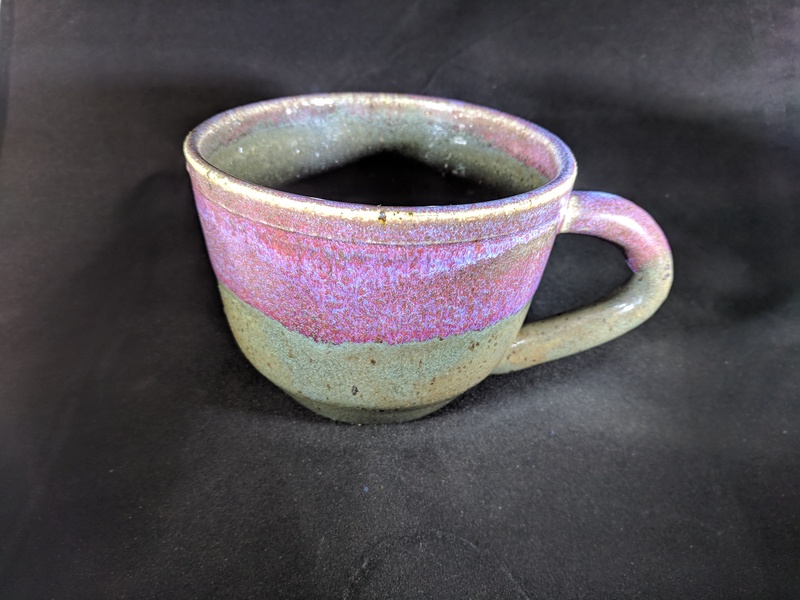 So “plum” glaze is a mix of leftover glazes from the blue, red, and green families, but I wasn’t expecting that green. Still, I like this one; easily my favorite of the batch. 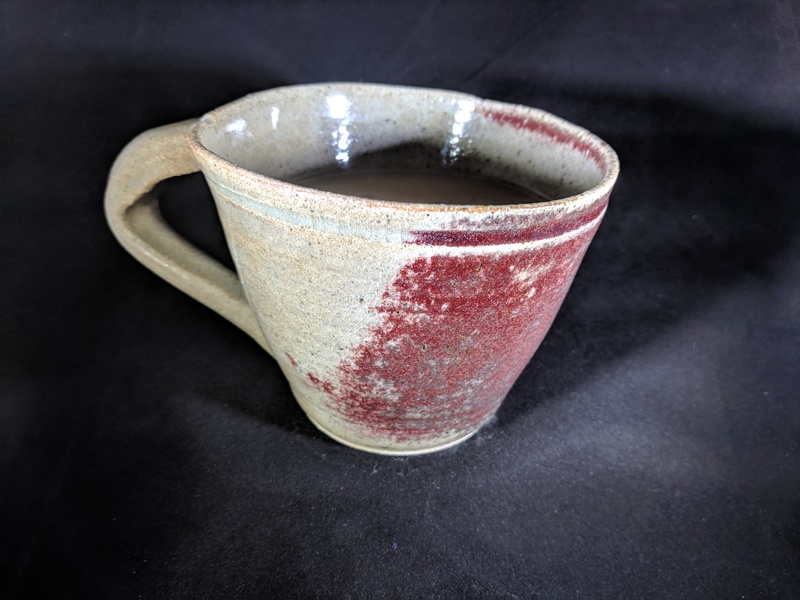 So maybe don’t rub down the cranberry glaze, got it… Though the position in the kiln definitely had something to do with how this one turned out. This one came out very nice, though the peacock basically disappeared. I’m quite happy with the blues on the outside though.